Jean-Pierre earned himself a place in Formula One history when he scored the first win for a turbocharged car, and the fact that it was at the wheel of a Renault in the French Grand Prix, in 1979, also guaranteed nationalistic fervour. That he should have the honour of taking the first turbo victory was appropriate, for it was he who had had to pilot the hopelessly unreliable Renault turbo in its first steps in Formula One in 1977. After a successful career in Formula Two, he had made his Formula One debut in a one-off drive for Frank Williams in the 1974 French Grand Prix. He would only taste success at Renault, for whom he began his full-time grand prix career in 1977, after being involved in the turbo car's development from the beginning. 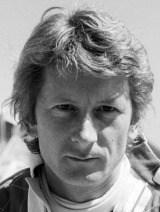 He won one further grand prix, in Austria in 1980, before breaking a leg in that year's Canadian race. He returned with Ligier in 1981 but, still not fully fit, he retired after just a few races. Jean-Pierre raced in Peugeot's sports car team in the early 1990s, before being placed in charge of the French manufacturer's motorsport programme. Has a sports car racing ride lined up for 2007, partnering Jacques Laffite.